The very original hunting dog Basenji comes from Africa and is assigned to the primitive dogs. 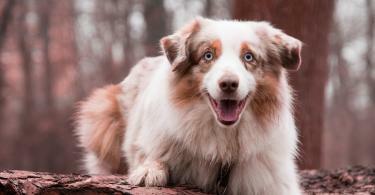 He does not bark, but uses gurgling and yodeling sounds to express his mood. In addition, he is unusually clean and shows an independent, sometimes shy behavior. At the same time, the Basenji is an intelligent and loving companion who proves to be a devoted family dog. He owes his typical thoughtful countenance to the delicate facial folds and his unfathomable, distant gaze. The home of the Basenji is originally located in central Africa, where the breed is used both earlier and today mainly by the natives for hunting small game. In Egypt, records of thousands of years document the existence of a similar hunting dog breed, which is why it is also known as the "Cheops dog". It was not until the 19th century that the first Basenjis arrived in England with Africa researchers and were systematically bred from that time on. The first breeder is Mrs. Olivia Burn, the wife of a British colonial official and avid dog and horse breeder. She brought a group of Basenjis from the Congo to England and successfully started breeding this particular breed in the 1930s. 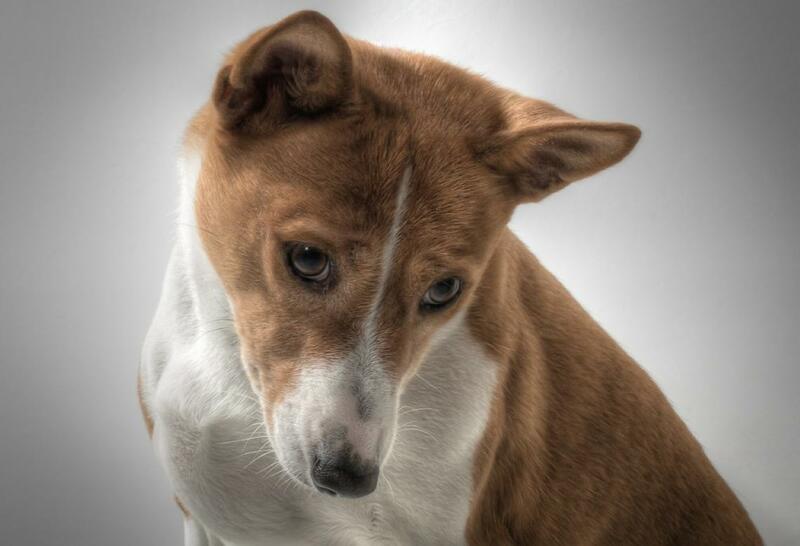 The Basenji is an intelligent and self-confident dog with a strong tendency for independence. 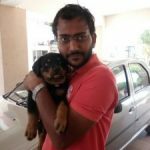 Although he generally obeys well, he can sometimes be very idiosyncratic, responding in particular to a strictly authoritarian education with a shy or disobedient behavior. If the Basenji is met with much praise and empathy, he develops into a loving and playful family dog, which shows a great devotion to his people. 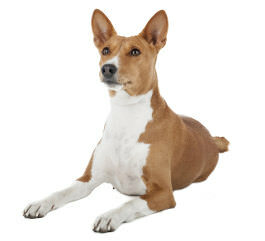 Unlike other breeds, the Basenji is characterized by its unusual cleanliness, which is often compared to that of a cat. He is also a remarkably calm dog that does not bark, but expresses itself with the help of chuckling sounds and a kind of yodelling. All the richer, however, is his cheerful tail waving, with which he expresses his joy. The Basenji learns fast and behaves in the family environment usually unobtrusive, but sometimes can appear very stubborn. The Basenji, despite its quiet nature, is a watchful dog that often appears reserved to strangers. Outdoors, his strong urge to move, which requires long walks and a lot of mental activity shows. As an old hunting dog breed, the Basenji has received a pronounced hunting drive to this day and loves to run and hunt for sight. In its Central African homeland, the Basenji is still used as a very efficient hunting dog. However, the number of animals has fallen sharply there. The Basenji is more widespread today in Europe and the USA, where it enjoys great popularity as a family and companion dog. Thanks to its pronounced cleanliness, the Basenji is easy to care for, but it needs plenty of room to move, work and run out. His innate hunting drive demands constant attention. As a pack animal the Basenji enjoys the closeness and attention of its people, which makes it difficult for him to be alone for too long. Due to its independent and idiosyncratic character, the Basenji is not a beginner dog, but should be kept only by experienced dog owners. 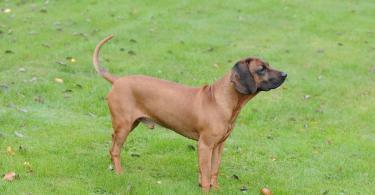 The fascination of this proud and elegant dog lies in its individuality and its instinctive intelligence.